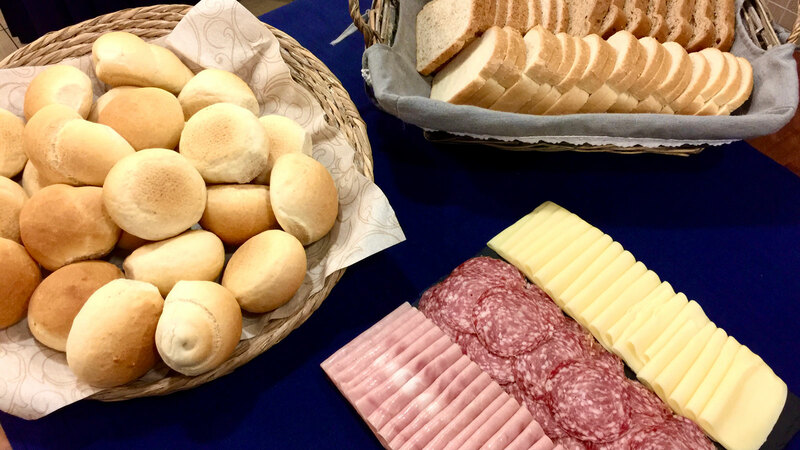 To start a wonderful day, our Chef, already from the breakfast will delight you with excellent homemade cakes, pies, croissants, biscuits, toast, butter, jam, Nutella, honey, canned fruit, yogurt, cereals and different types of bread. For those who love the salty will find cold cuts, cheeses, eggs and more. Daily lunch and dinner buffets with appetizers, pasta and meat and fish, mixed vegetables, fresh salads, fruit, sorbets, ice cream and desserts prepared by our Chef. Our flagship is the attention for the ciliache people who can choose daily GLUTEN FREE menu. Children can choose directly at the buffet where they will find dishes dedicated to them, and for the little ones can ask for vegetable soups, vegetable broths, homogenized, cheese and all the equipment that you might find helpful, from high chairs, plates and cutlery colored. Once a week ROMAGNOLA - Evening with the best dishes of our tradition and the legendary piadina. If you Want to stay on the beach and eat directly under the beach-umbrella, ask for the "Golf Bag"